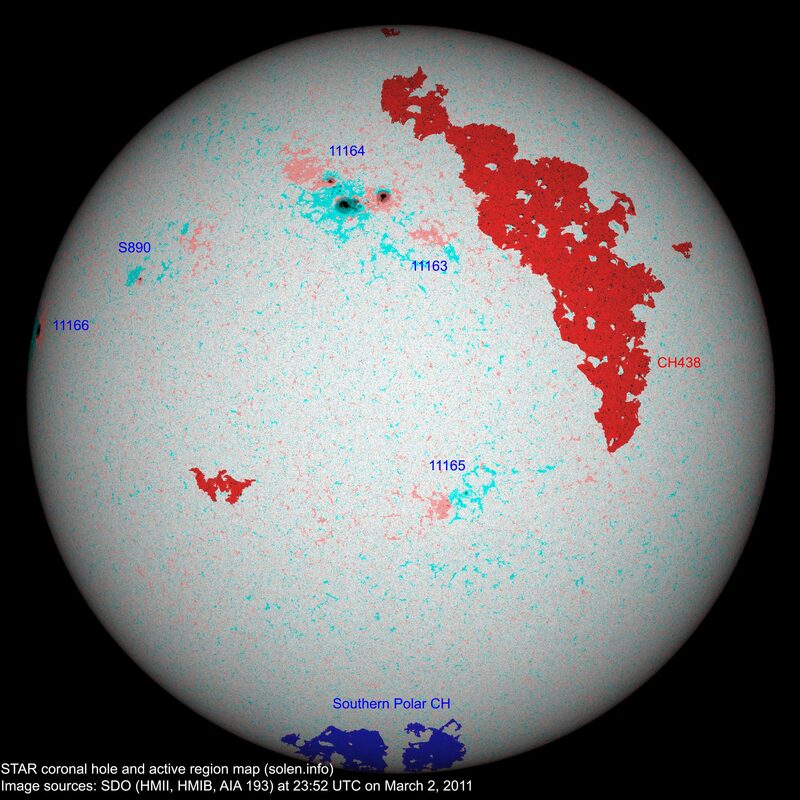 The geomagnetic field was quiet to active on March 2 under the influence of a high speed stream from CH438. 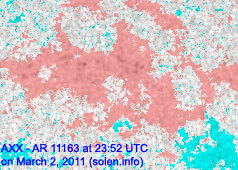 Solar flux measured at 20h UTC on 2.8 GHz was 113.4 (increasing 33.0 over the last solar rotation). 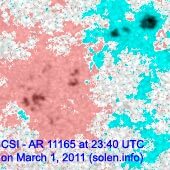 The planetary A index was 17 (STAR Ap - based on the mean of three hour interval ap indices: 16.6). 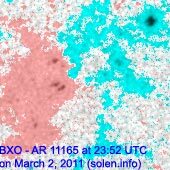 Three hour interval K indices: 44323333 (planetary), 44322323 (Boulder). Region 11163 decayed slowly and quietly. Region 11164 lost quite a few spots. 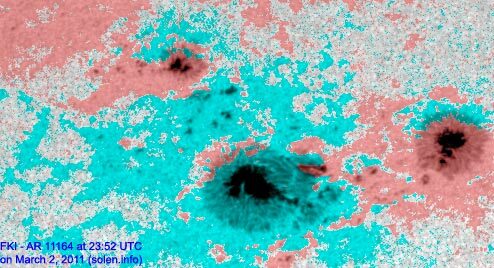 The main penumbra is large (spanning about 5 degrees longitudinally) and has a weak magnetic delta structure at its northwestern flank. 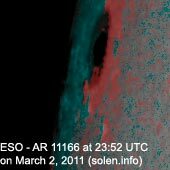 An M class flare is still possible Flare: C1.4 at 13:18 UTC. Region 11165 decayed slowly and was quiet. 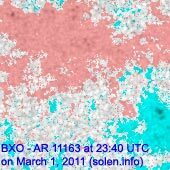 New region 11166 began to rotate into view early in the day at the northeast limb. 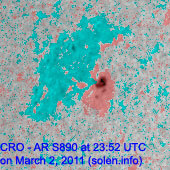 The region could produce C flares and maybe minor M class flares. 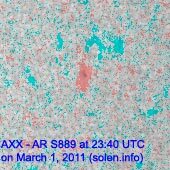 [S890] This region emerged in the northeast quadrant on March 2. Location at midnight: N14E45. 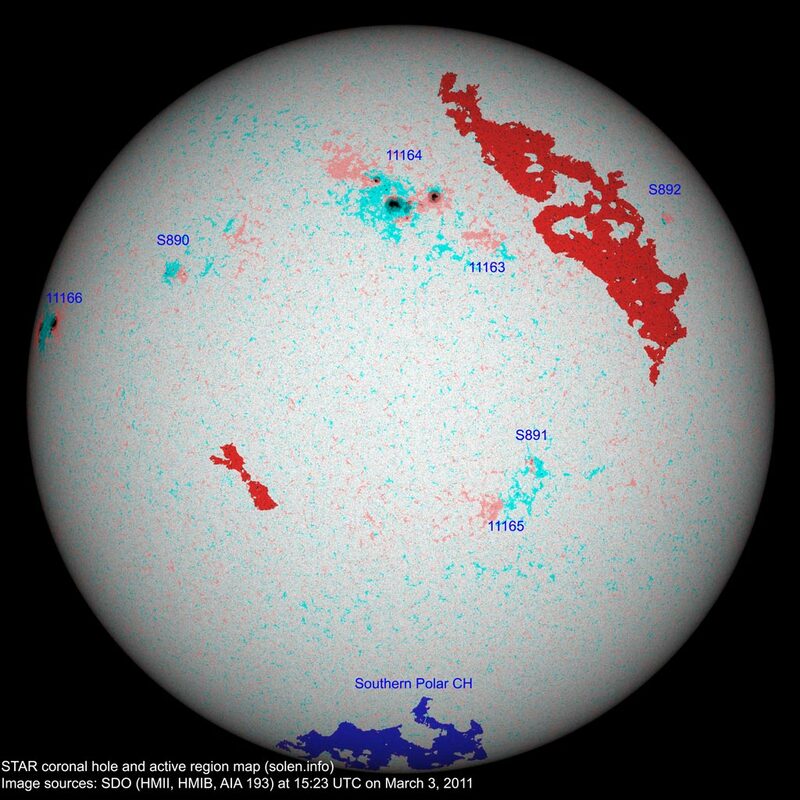 Minor update added at 16:15 UTC: Two new regions have emerged on the visible disk. See this updated map. 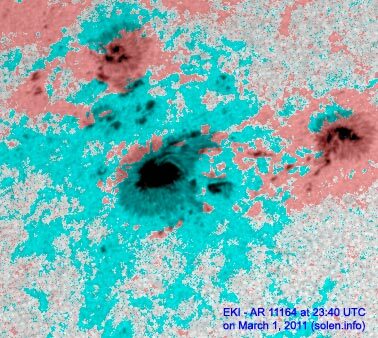 A large trans equatorial coronal hole (CH438) was Earth facing on February 27 - March 1. 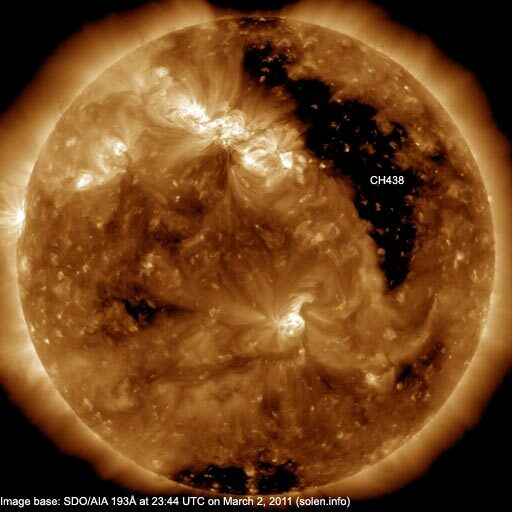 The geomagnetic field is expected to be quiet to unsettled on March 3-4 due to effects from CH438, isolated active intervals are possible. 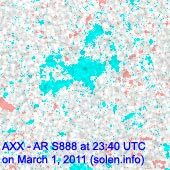 Quiet conditions are likely on March 5-6.